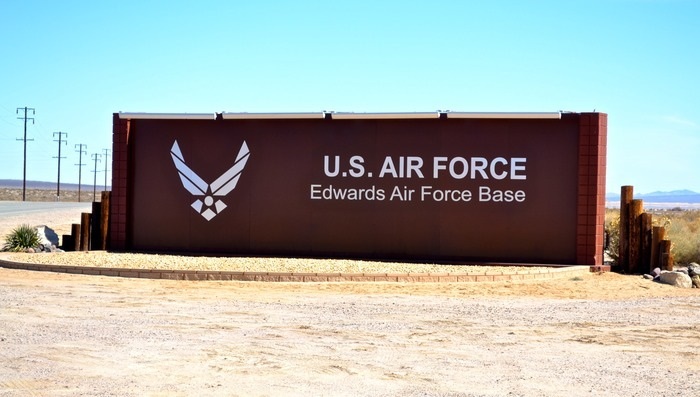 Edwards Air Force Base occupies territory once explored by Spanish colonists and settled by pioneer homesteaders. The military base began as a stark and remote bombing range in 1933 and went on to become a major bomber training base in World War II. The Air Force Flight Test Center originated during the darkest days of the war, and has since achieved more major milestones in flight than anywhere else in the world. Aircraft ranging from the Bell XP-59 Airacomet, to the Bell X-1, to the NASA Space Shuttle and to the B-2 Bomber were first developed, tested and finalized for production at Edwards. This proud history continues with the testing of the Joint Strike Fighter X-35A, Airborne Laser Weapons and the Predator Unmanned Aerial Vehicle Programs. Welcome to Edwards Air Force Base and the Air Force Flight Test Center! Edwards Air Force Base, in the western portion of the Mojave Desert, is 100 miles northeast of Los Angeles and is ideally located for shopping, sightseeing and recreational activities. The Edwards community is located is Kern County, CA. The entire Antelope Valley is our home community – from Rosamond to California City to Boron, Lancaster, Palmdale and Acton – giving us a wide range of off-base activities from the Poppy Festival to Willow Springs’ auto racing to the Lancaster Jethawks minor league baseball team. Cost of living for Kern County is below the national average at 89.5. The Air Force Test Center at Edwards Air Force Base, California, is the Air Force Materiel Command center of excellence for conducting and supporting research, development, and test and evaluation of aerospace systems from concept to combat. It operates the U.S. Air Force Test Pilot School and is home to NASA’s Dryden Research Center and considerable test activity conducted by America’s commercial aerospace industry. From the development of the country’s first jet aircraft to the Air Force’s newest fighter, the F-22 Raptor, the test forces at Edwards have played a role in the development of virtually every aircraft to enter the Air Force inventory since World War II. The 412th Test Wing is the host wing for Edwards Air Force Base, Calif. -- the 2nd largest base in the Air Force. The 412th Test Wing plans, conducts, analyzes, and reports on all flight and ground testing of aircraft, weapons systems, software and components as well as modeling and simulation for the U.S. Air Force. There are three core components for this mission: flying operations, maintenance and engineering. "Edwards AFB's total force is over 10,000 military, federal civilians, and contract personnel assigned to a 481 square mile installation." The mission of the 95th Air Base Wing is to operate and sustain EAFB in support of the AFFTC and approximately 50 other associate and tenant units. 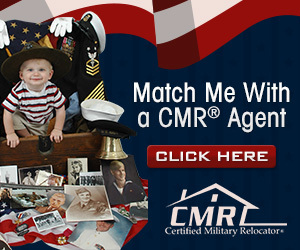 Provides infrastructure, information technology, strategic communication, security, fire protection, transportation, logistics, finance, acquisition support, compliance assessment, force support, manpower, medical, housing, religious and spiritual care, and quality of life services and programs to 14K people. The vision statement is “Focused, steadfast support and dedicated stewardship to Edwards AFB and America's Premier Flight Test Center...” The duality and tyranny of being at Edwards AFB is that the remoteness and isolation of Edwards AFB provides a one-of-a-kind national test asset for aerospace juxtaposed with the remoteness and isolation challenges families who live and work on Edwards. Distance, time, and space issues impact after-hours emergency care, education choices, family/quality of life activities. Currently, there is no base transportation. There is no provision for on-base shuttle busses or taxis. Distance from one facility to another typically requires a private-owned vehicle or government vehicle. Desert heat is another reason why most people drive from one facility to another. Off base, There is a public transportation available (buses and taxis) off base. However, a person must coordinate for someone to pick them up at the entry control point. A sponsor should be assigned to you prior to PCSing to Edwards; however, if you were not assigned a sponsor prior to leaving your base or do not hear from your sponsor in a timely manner, contact the Relocation Assistance Manager at the Airman & Family Readiness Center at 661 277-0723. Your sponsor will act as your POC at Edwards, and he/she will forward you a welcome packet via email. Your sponsor will be able to address any questions or concerns you or your family members may have. Please check-in to your unit if you will be arriving between 7:00 a.m. and 3:30 p.m., Monday through Friday. The base lodging facility is your after duty hour arrival point. Newcomers can forward mail to general delivery address. The forwarding address is: Rank, Name, PSC Box 1998, Edwards AFB, CA 93524. If you are traveling to California by commercial air to Los Angeles International Airport (LAX), you have four means of transportation to Edwards AFB. One is to have your sponsor pick you up at LAX. Another is to take the Antelope Valley (AV) Airport Express (shuttle) to Lancaster where it will drop you off at the Inn, 1825 W. Ave, J-12 or at AV Flyaway, 332 W. Ave S in Palmdale. Making a reservation for the AV Airport Express prior to your arrival is highly recommended to guarantee a seat on the van or bus. You can do so by calling 661-947-2529 or 1-800-251-2529. Upon your arrival at LAX, proceed to the Baggage Claim area. A schedule of the Antelope Valley (AV) Airport Express can be found at the Ground Transportation Service area. The AV Airport Express Van picks up new arrivals underneath the hanging green "Flyaway Buses & Long Distance Vans" sign on the center island in front of each terminal. Drop off/pick up points are Lancaster: Comfort Inn, 1825 W. Ave. J-12, 661-723-2001 and Palmdale: AV Flyaway, 332 W. Ave S.
Fees for the AV Airport Express are collected on departure from LAX and are as follows: $48 one way / $84 round trip; two travelers $95 one way / $130 round trip. Children two and under: $12 one way / $20 round trip. Children 12 and under: $22 one way / $40 round trip. Meet N Greet: (Same Day Travel) $50. Pets are allowed, however there is a fee of $5.00 - $10.00, depending on size. The pet must be in a carrier. For luggage in excess of 2 pieces per person, not including carry-ons, there is an additional charge of $2.00 - $5.00 per bag. Additional charges apply for golf clubs, surfboards, skies, bicycles and boxes. If you arrive at LAX, the Prime Time Shuttle is available. Call 800-RED-VANS, 800-733-8267 for information regarding cost and departure times or book on-line. Should you travel to California by train, AMTRAK, you will arrive at Barstow, which is approximately one hour from Edwards. Greyhound Bus also provides bus service to Mojave, approximately 23 miles from Edwards. Your sponsor can pick you up at LAX. Taxi cost is approximately $200.00 to Edwards. LAX to Lancaster is 80 miles and Lancaster to Edwards is another 35 miles. If you use a taxi or rental car, the authorization must be included in your orders. If you are driving to Edwards from LAX take the 405 (San Diego Fwy) North; Merge to the I-5 (Golden State Fwy) North; Exit right to the I-14 (Antelope Valley Fwy) North. Proceed North on the 14 through Palmdale, Lancaster. Past Avenue "A", you'll enter Rosamond. Exit 55 takes you to Edwards AFB exit and turn right onto Rosamond Boulevard. Proceed through two lights, across the railroad tracks and straight onto EAFB property. You'll see the "Welcome to Edwards" marker. Proceed straight to the West Gate on Rosamond Blvd. ; about a 17 mile stretch of desert. The housing area and Billeting Office are approximately 8 miles beyond the gate. To get to billeting, the Desert High Inn, stay on Rosamond Boulevard until you see Fitzgerald Ave. At the intersection, turn left. You’ll pass by Burger King, BX, Commissary, and Starbucks on your right. Then turn left on Oleander St. The road will wind slightly. Turn left on Honts Avenue. The Desert High Inn will be on your left. It is open 24 hours, 7 days a week. Once you arrive at the front gate you will proceed to Military Personnel Flight, located at BLDG 3000. If you arrive after hours contact your sponsor or your First Shirt and proceed to billeting. No listings found for Edwards Air Force Base.